Ritchey sells a steel Breakaway Cross frame! Build your own indoor wall rack - from Ikeahacker! 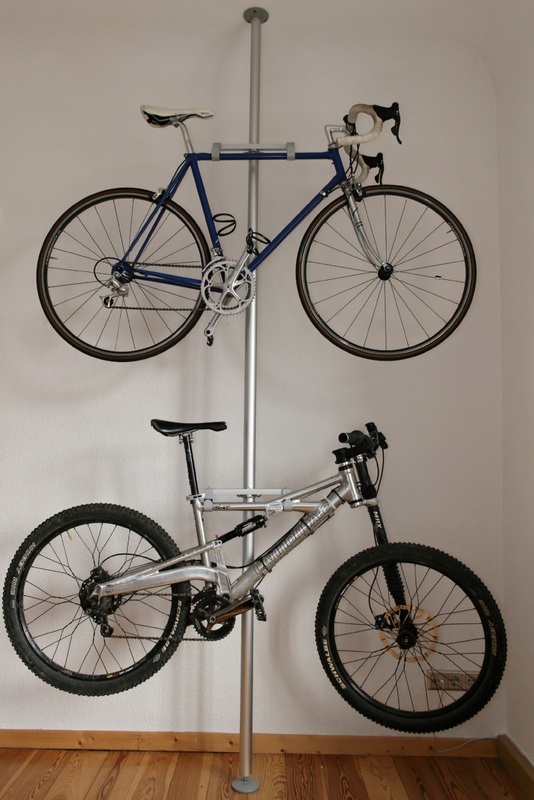 i really like michael's idea for bicycle storage with the stolmen posts. i just wonder how easy it is to get the bikes up and down the pole. that's a workout in itself! he says, "there are a lot bicycle storage/rack-systems on the market, but none of them met my expectations in function/style and price. i wanted to get 2 bikes on a wall in my apartment. Foes Racing makes a cruiser bike! 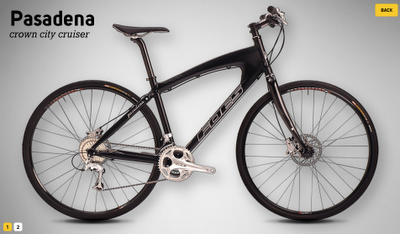 Built for the long haul; the Independence is an expedition level, touring specific frame and fork. It’s extremely durable and equipped with all of the necessary options to handle a full load. The frameset features a heavy-duty tubeset, three water bottle mounts, a full set of rack and fender mounts (front and rear), and a pump peg. This frame is available in either steel or titanium and comes with an IF steel touring fork. * Complete pricing depends on custom options and selected componentry. Please consult a certified IF dealer for more details. The first thing I do is ask you a lot of questions. Then I will ask even more questions about your current bike and setup. What you are looking for etc. I can usually come up with a good idea for your Justice Madison geometry and then tell you how I arrived at that and we can tweak even more from there. Then we can decide if you want to run continuous housing on the rear end of bike or go with traditional cable stops? Then we can pick a color for your Justice Madison to be painted. It can be painted just about any color under the sun. What you will appreciate as you bomb down your favorite trail is the zealous attention to detail I put into each frame. I weld the frames straight and do very little if any cold setting. Lots of "cold sets" leave residual stress that could show up as misalignment after years and years of hard use. Lots of builders will say "my way is the best way" and so on. Let me put it like this.......Justice Madison frames are fine works of art intended to be ridden hard and provide years of service. Once we agree on a bike I take a deposit and get to work. When your Justice Madison is ready we settle up and I get it to you. Right now I can build you a custom hand made steel XC race frame for $1390.00 plus shipping (+ tax in TN). The price includes a two color fade paint job (you pick the colors) and you get a t-shirt with it. Payment Options-I require one third down and the rest upon completion. Check, cash, money order or Pay Pal. For Single Speed Slider disc dropouts add $75 to the cost of the frame. For flame/smoke fade paint work add $75 to the cost of the frame. 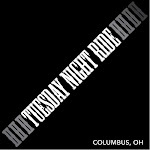 When Old Man Winter's frosthammer pounds the fingers of novice winter cyclists against their handle bars, the veteran cyclist need not put the bike in the shed - some of Columbus's most intrepid cyclists ride all winter long. Ken Cohen has been doing this longer than some of us have been alive. He is an instructor certified by the League of American Bicyclists. Here's some information from an expert that might keep you on two wheels longer than you expected. Welcome to Carousel Design Works. Purveyors of fine gear for ultralight bikepacking, endurance racing, winter riding, and lightweight touring. Innovators of lightweight rack-less packing systems for bicycle exploration, and the first name in custom bike bags. Why go rack-less? It’s all about reducing weight, eliminating mechanical complexity, and making the riding fun. Equip a bike with our ultralight packs and a lightweight backcountry kit and it opens a door to a whole new world of riding possibilities. No heavy racks and bulky panniers to get in the way, and no trailer to tow like an anchor, means you can quit acting like a pack mule and actually enjoy the ride! Look around. Carousel Design Works gear has become the choice of some of the finest self supported endurance athletes, clandestine backcountry trail ninjas, and discerning bike geeks around the globe. Whether you want to explore high alpine terrain, scorch Great Divide Route, or you simply make touring more fun by carrying less, Carousel Design Works can help you make it happen! Hi, my name’s Jeff. All the gear you find here is borne from my desire to be able to explore on a bicycle as unencumbered as possible while enjoying the ride. This gear is handcrafted in my small shop, nestled in the foothills of the Sierra Nevada mountains between Yosemite and Lake Tahoe. CDW gear is meticulously crafted to demanding standards then continually tested and refined by myself, and a collective of some great riders who are as nuts about bikepacking as I am. The equipment offered by CDW represents the continuing evolution of the lightweight touring system I’ve developed. A system that I felt so excited about, I couldn’t help but want to share it with others. So take a look around. Maybe you’ll find something you like. Then get out and start exploring your world. We are all just passengers on this great carousel of life, so make the most of it and ENJOY THE RIDE! Grease Monkey Wipes, a division of Kong Concepts LLC, was created by frustrated cyclists who wanted an easy, portable way to clean up after getting greasy from changing a flat tire. Owners Tim Stansbury and Erin Whalen are committed to helping everyone, from cyclists to mechanics to motorists to moms, steer clear of grease and grime. Grease Monkey Wipes are the perfect solution for anyone who finds themselves in need of a heavy duty cleaning wipe that can be taken anywhere. Tim has been an avid cyclist for 5 years and has participated in such events as the Oklahoma Freewheel, 24 Hours of Booty, LIVESTRONG Challenge, and Tour de Cure. When he's not busy saving the world from grease or out riding, Tim enjoys spending time with his wife, dog and cheering on his beloved Ravens. Tim received his BBA and MBA from Oklahoma State University. Erin shares a passion for entrepreunership and cycling, via the sport of triathlon. Her favorite Grease Monkey Wipes experience was cleaning her bike (and the bikes of her friends) before her first Ironman Triathlon. When she's not saving the world from grease, Erin can be found training, visiting art galleries and building toy robots. Erin received her BBA from the University of Texas. Newsflash: Two BikeStations opening soon! Bikestation Covina, CA is Coming Soon! Courtesy of the City of Covina, the first 50 users to sign up will receive a free annual membership. To take advantage of the new Bikestation Covina and see if you are one of the lucky first 50 click, “Join Now,” and go through the normal sign up process selecting a one year membership. You will need to select a method of payment and include credit card information as requested to complete the enrollment process. If you are one of the first 50 you will be notified via e-mail or phone and your fees will be refunded. If you have any questions you can e-mail us at info@bikestation.com. Even if you are not one of the first 50 to sign up, City of Covina Residents and users may qualify for special promotional pricing on monthly and yearly memberships. Bikestation Covina is an unstaffed bike parking facility which provides twenty-four hour access to members only. Hi and welcome to the Kirk Biycles website! This website came about following my fascination with the Kirk mountain bike and its unique design. I used to own a black Kirk Revolution and had very few problems with it (apart from being stopped all the time by curious passers-by). After a few years I decided to upgrade and modify the bike and the results were posted on my personal website, along with some of my other projects. Then, in 2005 I received an email from Frank Kirk himself, asking if I still had the bike and whether I would consider selling it. That took me by surprise, but a meeting was arranged and both the MTB and Racer were sold to a good home. Anyway, I hope you enjoy this site, feedback is always welcome, as is any further Kirk information. I do have a number of Kirk Revolution front mech hangers available, but sadly I've run out of the ones for the rear. Sunday, April 25th 7:30-9 a.m.
Mingo Shelter Building, Mingo Park, Delaware, OH. Roads will be marked and maps provided. Travel through Delaware, Morrow, and Marion Counties. Alum Creek Reservoir for all three routes and Scioto River for 100 mile return route. A beautiful scenic and traditional TOSRV warm-up. 35, 65, 100 miles. Fairly flat course with a few small hills. Budget Tour. $2 member, $4 non-member. Saturday April 17th 7:30-9 a.m.
Saturday April 10th 7:30-9 a.m.
Westerville Central High School, 7118 Mount Royal Ave., Westerville, OH. Start is 1/2 mi north of Maxtown Rd on Tussic St in Westerville. Note the NEW starting location. 30/55/100 on relatively flat terrain. Roads will be marked and maps provided. Budget Tour. $2 member, $4 non-member.